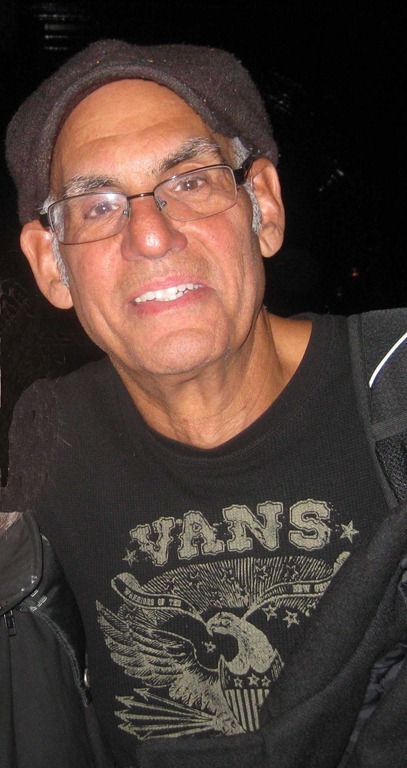 Liberty DeVitto was born on the 8th August 1950 in New York City, USA, and is of Italian ancestry. DeVitto is best known to the world as a drummer, who has shown his skills working with world-class musicians, such as Billy Joel, Stevie Nicks, and Rick Wakeman among others. He has been an active member of the entertainment industry since 1976. Have you ever wondered how rich Liberty DeVitto is? According to sources, it is estimated that Liberty`s overall net worth is $15 million, an amount acquired through his successful career in the music industry. Liberty grew up in Brooklyn, since his father worked there as a police officer. He fell in love with music as a teenager, after listening to the Beatles live on the “Ed Sullivan Show” in early 1964. After that he began to play drums, and to practice by himself. By 1968, Liberty got his first job as a drummer, touring with the Detroit-based rock band “Mitch Ryder & The Detroit Wheels”. However, he was injured in the meantime, as while driving on a tour he was involved in a car accident, which left serious consequences ror Liberty, as he couldn`t play drums for a whole year. Nevertheless, DeVitto didn`t give up, and the moment he recovered sufficiently he began to search for another engagement. Soon he formed a band called Toper, alongside Doug Stegmeyer, Russel Javors and Howie Emerson. They soon added Richie Cannata, replaced Emerson with David Brown, and began working with Billy Joel on his tours and in the studio. From that point on, DeVitto`s net worth really started to increase, and also his popularity, since he was sought by other musicians and groups such as Stevie Nicks, Meat Loaf, Bob James, which also contributed to his net worth. Liberty stayed as a member of Billy Joel`s band for 30 years, contributing his talents on 13 albums, including “Glass Houses” (1980), “The Bridge” (1986), “River Of Dreams” (1993), “An Innocent Man” (1983), “The Nylon Curtain” (1982), “Storm Front” (1989) and others. However, at that point DeVitto left Joel`s side after an argument with him, and subsequently filed a lawsuit against Joel, stating that he owed him unpaid royalties over a period of 10 years. Joel and DeVitto settled the lawsuit out of court. As a result of his work with Billy Joel`s band, Liberty was inducted into the Long Island Music Hall Of Fame in 2014. His latest ventures in the music industry include engagement as a drummer of the rock band The Slim Kings, since 2012, increasing further his overall wealth. DeVitto is recognized also as a humanitarian; he is a supporter of the Little Kids Rock, an organization that delivers musical instruments to the underprivileged schools, and he has also held numerous events to help raise the funds needed for these schools. As a result of his work, Liberty is an Honorary Board Member. Regarding his personal life, Liberty is married to Mary, whom he met in early 1983 while co-working with singer Stevie Nicks, as Mary was her best friend. The couple has three children, of whom Torrey DeVitto is an actress and also has been involved in music. The DeVitto family currently lives in Brooklyn, New York. 1 Former drummer for Billy Joel. 2 Ex-father-in-law of Paul Wesley. 3 Father, with Mary Devitto, of daughters Torrey DeVitto, Devon DeVitto and Maryelle DeVitto.